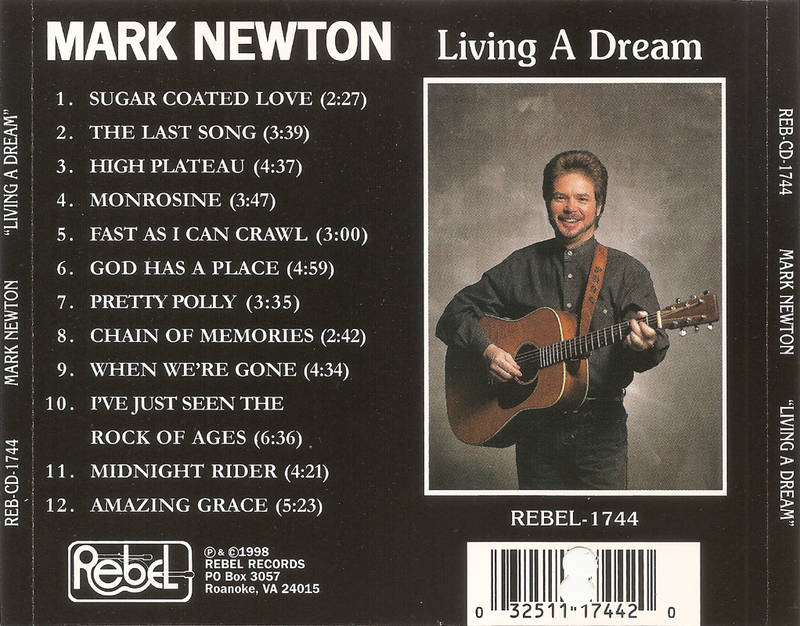 This is the first 'solo' album by Mark Newton, who played with a succession of groups in the '70s and '80s including Cabin Hill, Heights Of Grass, Knoxville Grass, and with Ronnie & Rickie Simpkins and Sammy Shelor, The Virginia Squires. The 'Squires are regarded by many as having been on the forefront of "contemporary" bluegrass in the '80s, and very influential on the '90s bluegrass scene..
For this album, his fellow Virginia Squires were reunited to provide bacing, along with guests: Mike Auldridge, Wayne Benson, Peter Bonta, Ronnie Bowman, Dudley Connell, Ray Deaton, Jerry Douglas, Bill Emerson, Mark Johnson, Russell Moore, Alan O'Bryant, Tony Rice, Don Rigsby, Ralph Stanley, John Starling, and Paul Williams. 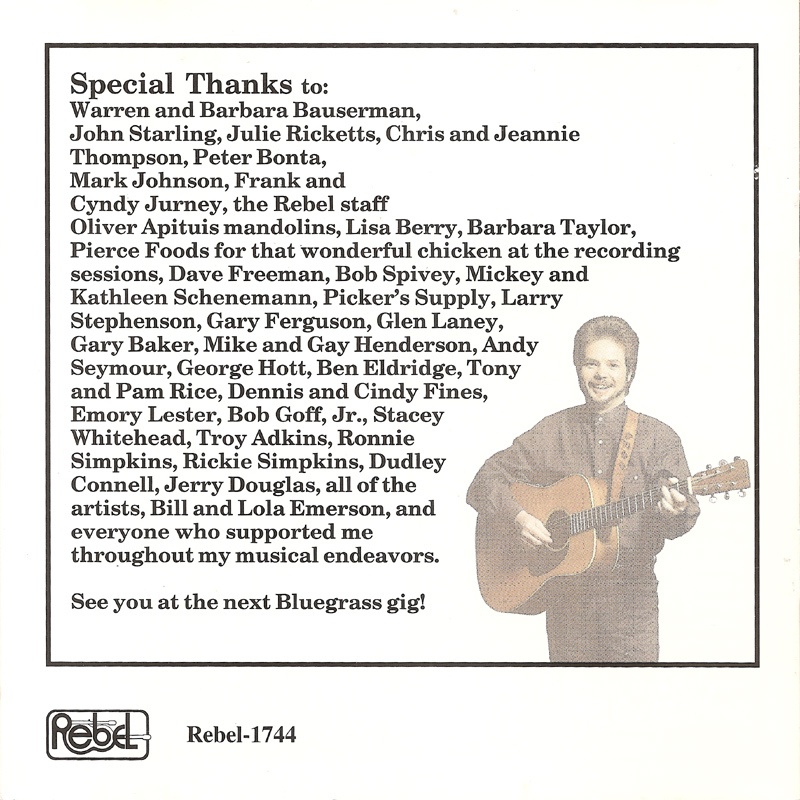 Ralph is featured on two tracks: Sugar Coated Love, which was of course one of the songs Carter Stanley recorded with Bill Monroe, and has Ralph singing lead on the 2nd verse and chorus; and I've Just Seen The Rock Of Ages, which features Ralph singing lead on the 2nd verse, half of the 3rd verse and on the chorus. 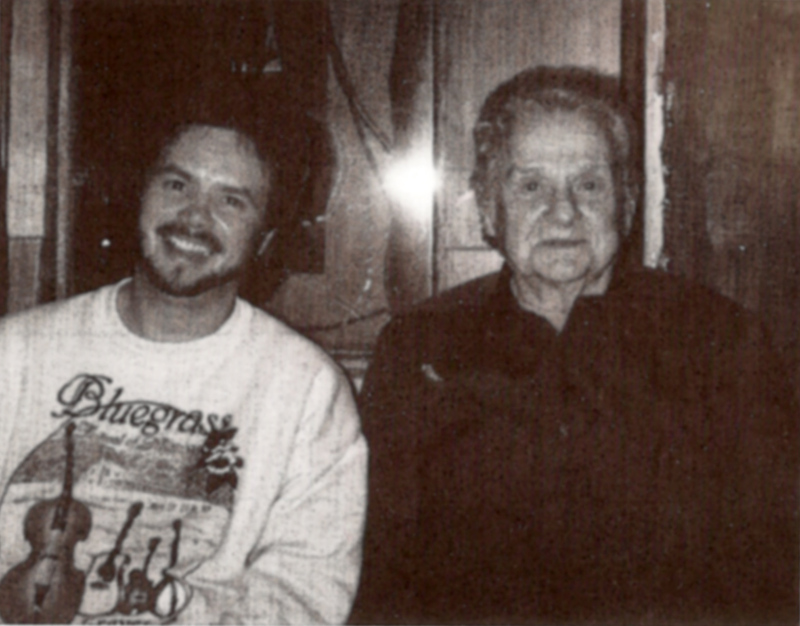 Ralph originally cut the song for his 1977 Clinch Mountian Gospel album. 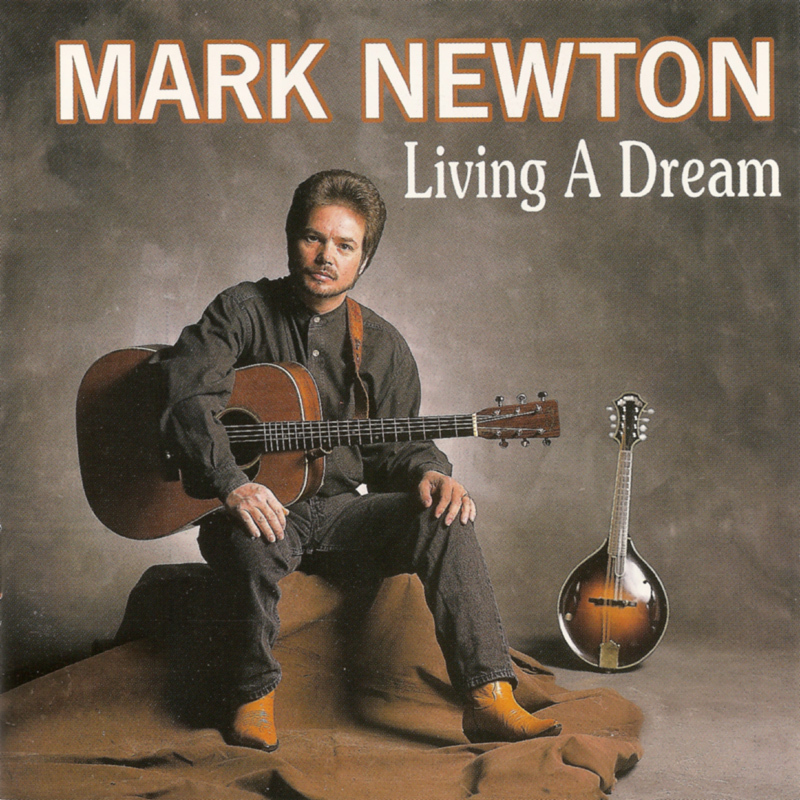 The CD has quite a smooth 'contemporary' bluegrass sound.